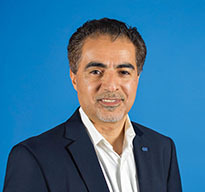 Sustainability, one of the drivers in our region, aligns with SPE’s worldwide initiative by SPE President Sami Alnuaim to ensure the oil and gas industry meets the world’s energy needs in a manner that protects the environment. In our region, we are working diligently to meet these requirements. We are implementing the philosophy of “Citizen Engineer” to fulfill sustainable development in our communities. Together with National Oil companies (NOC) and International oil companies (IOC), we are integrating a clean thinking into our operations and processes. Our region is equipped with opportunities for members like you to be part of our sustainability challenge. We're energy. We're international. We're networking. We're thought leaders. #WeAreSPE. EOR is an important step in the full life cycle planning and development of mature fields and heavy oil fields in order to optimize operational economics and improve recovery. Register by 29 April, save USD 100! What do SPE members around the world have in common? And how are they different? SPE's Newest Web-Based Technical Content Resource— Industry Interviews! SPE International is calling for volunteers to participate in our first Virtual Career Pathways Fair! This exciting new opportunity will be an online version of our physical Career Pathways Fair. During this event, we are looking for virtual moderators who can encourage and engage discussion in networking forums. We are also looking for volunteers to give advice on what it is like to do their job in the industry and how people who want to follow your footsteps can best prepare. Get the SPE information and content that's relevant to you. Visit our preferences center and subscribe to email updates for Products, Services, and Events. Connect with your SPE section and learn about their local events, networking and volunteering opportunities. 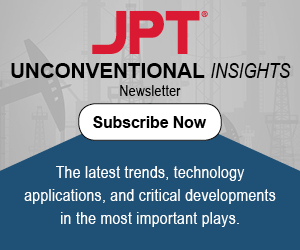 To sign up for the JPT Unconventional Insights newsletter, please provide your name and email address here. Save 15% on all books published in 2017 or prior*. Enter HAPPYNEWYR19 during checkout. SPE members can use this discount to get 65% off list price! Visit store.spe.org. *This offer expires on 28 February 2019 and is for individual use only. Not an SPE member? Join Now. This web page disseminates relevant regional information to Mexican, South American and Caribbean SPE members.